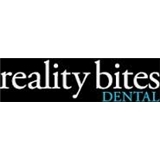 Reality Bites Dental (San Antonio) - Book Appointment Online! Our team is dedicated to understand the needs and expectations of our patients, while guiding them to achieve and maintain optimum oral health. Family owned and operated, we strive to treat people, not just teeth. Our patients are not just teeth walking through the door, but neighbors, friends and colleagues whom we hope to know long term. Our relationship goes beyond commercial service exchange. It is based on the establishment of mutual respect and trust. We understand fear of visiting the dentist. Many people are embarrassed of the condition of their mouth. Rest assured, our team is professional and will not judge or lecture you. We are here for you whether you are beginning the journey towards oral health, or simply maintaining your healthy smile.